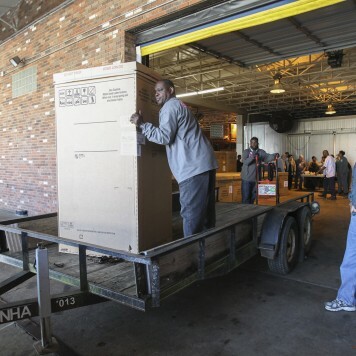 MEMPHIS, Tenn. October 22, 2014 — Electrolux today donated a truckload of Frigidaire Chest Freezers and Frigidaire Upright Freezers to the Mid-South Food Bank which will distribute the appliances to 40 different food bank partner agencies. The company is also making a donation of Frigidaire Freestanding Electric Ranges next week through Neighborhood Christian Centers (NCC) for distribution to low-income Shelby County families. 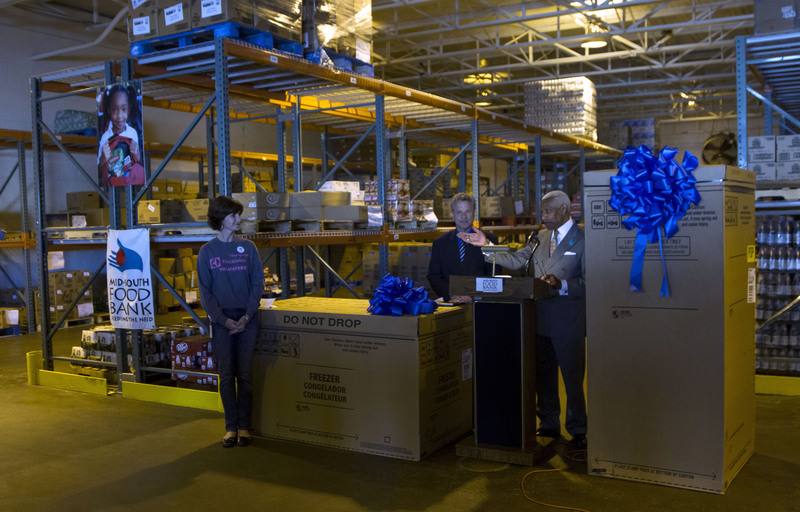 The two Electrolux donations are valued at more than $80,000 and will help Memphians who are struggling financially to have enough to eat, as well as an oven on which to cook, with much needed assistance. 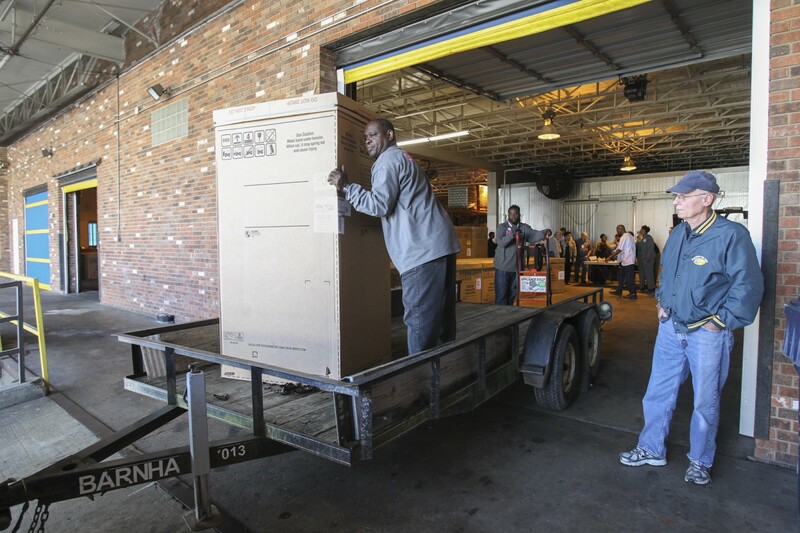 The gifts follow other recent donations of cooking appliances and room air conditioners, bringing the total value of the donations in Memphis to more than $300,000. The freezer donation to the Mid-South Food Bank partner agencies will impact families throughout the region and strengthen the organization’s food distribution infrastructure by increasing its ability to provide healthy, frozen food items. Residents must also have a vehicle to transport the ovens which are 49 inches tall and 30 inches wide. Electrolux is a global leader in home appliances, based on deep consumer insight and developed in close collaboration with professional users. We offer thoughtfully designed, innovative solutions for households and businesses, with products such as refrigerators, dishwashers, washing machines, cookers, vacuum cleaners, air conditioners and small domestic appliances. Under esteemed brands including Electrolux, Frigidaire, AEG, Zanussi and Electrolux Grand Cuisine, the Group sells more than 50 million products to customers in more than 150 markets every year. In 2013, Electrolux had sales of $16.7 billion ($5.3 billion in North America) and 61,000 employees. The Electrolux North American headquarters is located at 10200 David Taylor Drive, Charlotte, NC 28262 in the University Research Park. For more information, go to http://newsroom.electrolux.com/us/. 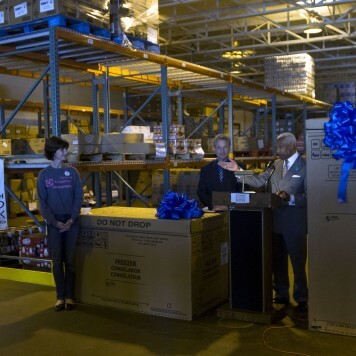 From left to right: Leigh Ann Berko, Electrolux Memphis; Steve Shular, Shelby County Government; Mayor A C Wharton. 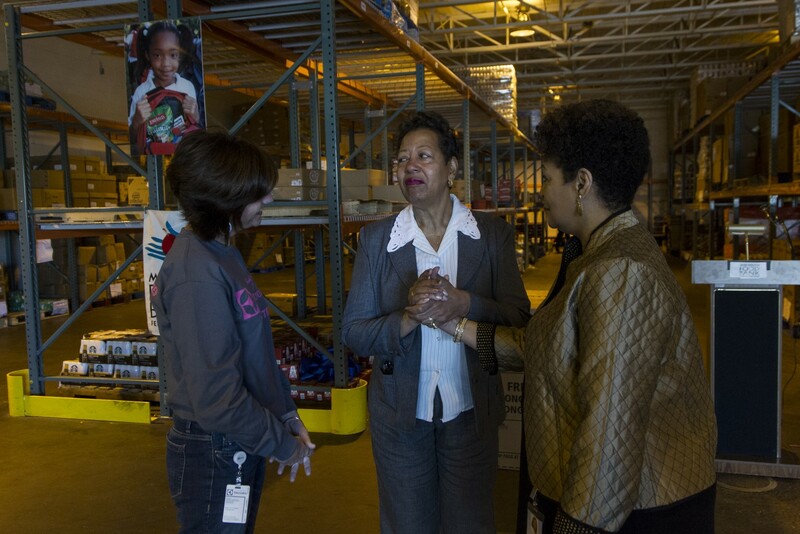 From left to right: Leigh Ann Berko, Electrolux Memphis; Cheryl Diane Carter, St. Paul Baptist Church; Estella Mayhue-Greer, Mid-South Food Bank President and CEO. Carter says she had to turn food away yesterday because she didn’t have enough room to store it, but because of today’s donation, that won’t have to happen in the future.